Mount Meru is the best for acclimatization prior to Kilimanjaro climb. The Mountain is the third highest peak in Africa and is the second highest mountain in Tanzania at 4,568m. 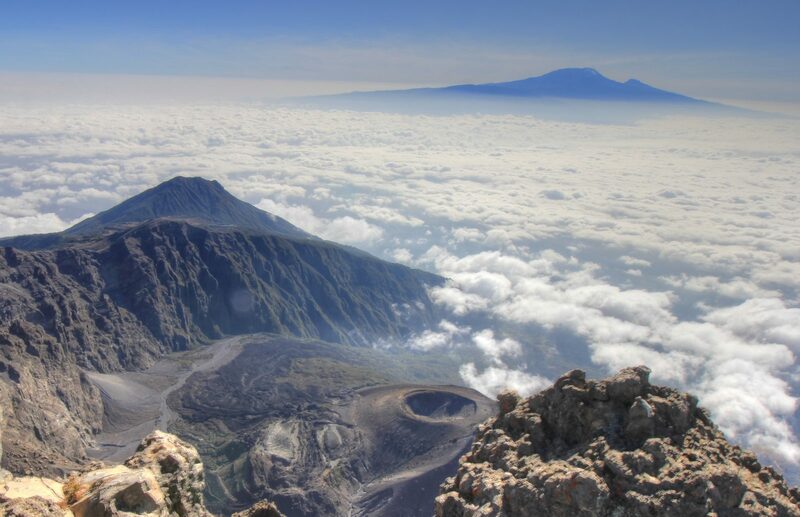 The mountain is located within Arusha National Park, Tanzania’s gem. This prime location gives climbers the chance to spot some of the wildlife. E-mail us at any time to discuss your trip and get an accurate quotation. DAY 1: ARRIVE IN TANZANIA. Arrive anytime at Kilimanjaro International Airport (JRO). We will arrange a private transfer from Kilimanjaro International Airport (JRO) to Arusha Safari Lodge, where the rest of the day is at leisure. We stay at the Arusha Safari Lodge, which is beautifully located on the slope of Mt. Meru and is a perfect place to prepare for your adventure. We will also confirm you have the appropriate mandatory medical coverage and travel insurance. Dinner and overnight at Arusha Safari Lodge: Bed, dinner and Breakfast-included. We drive from Arusha to Momela Gate. After a short registration at the Gate our walk will begin with full armed ranger escorting us, simply, we can see along the way the wild animals including elephants, zebras, and giraffe, monkeys, antelope, and often elephants along the route. Dinner and overnight night at Miriakamba Hut. The walk from Miriakamba Hut to the saddle below Little Meru is a short day but a steep climb. The walk will take us slowly along the ridge for a spectacular view of the Meru Crater and the impressive Ash Cone. After a hot lunch at Saddle Hut, we can make a short climb to the summit of Little Meru (3,820m) for superb views just before sunset. We start early at around 1:30 a.m. To climb steeply to Rhino Point (3,800 m.) and on to Cobra Point (4350m). 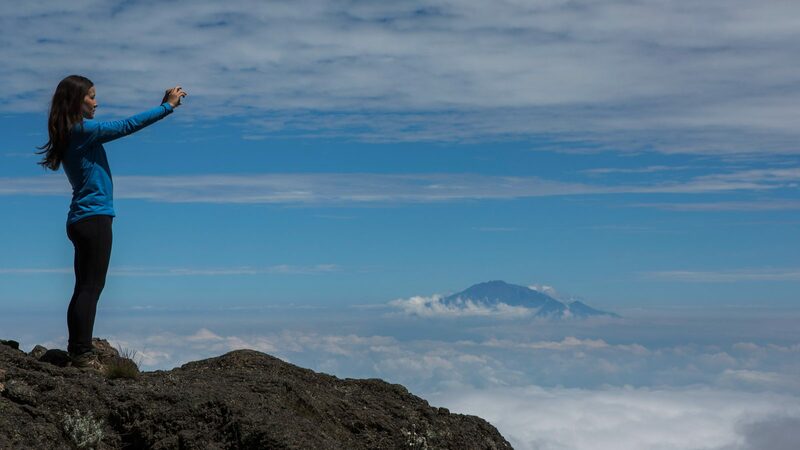 We reach the summit (4,566 m) on time for sunrise there is a possibility to see Kilimanjaro Peak above the clouds. The final part of the climb is along a spectacular narrow ridge line between the sheer inner cliffs and the sloping outer wall of the crater. We take a short rest and brunch at Saddle Hut before continuing the descent to the Meriakamba Hut. We take a short and fast descent way through open grassland and mixed forest, with the the possibility of seeing wildlife before reaching the Momella Gate in the late morning. The returning transfer will be waiting at the Momella gate to pick up you to Arusha at Safari Lodge. Arusha to Kilimanjaro International Airport, private departure transfer is included. • 2 Nights accommodation in Arusha or Moshi and three meals a day while on the Mountain. • Tips and any items of personal nature. We as Overland Safaris are fully committed in assisting all customers at any given time.